Please note that you have to be 18 or over to use this health club. Achieve all your health and fitness goals at Solutions Health and Fitness Club where you will find years of experience helping many meet and exceed their fitness goals, no matter how busy their lifestyle. 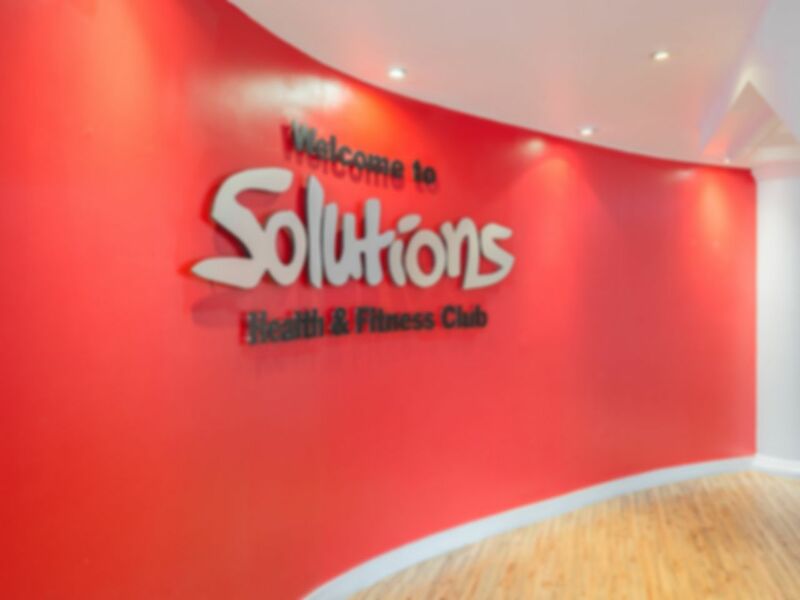 Solutions in Croydon is a friendly, passionate, social environment where you can choose from a jam packed studio timetable with over 50 classes, separate female only gym, state-of-the-art cardiovascular equipment, circuits, spinning, free weights, functional training zone, Flabelos and an indoor swimming pool with a steam room, sauna and Jacuzzi all spread over 5 floors dedicated to your every fitness need. Please enquire within the club for information about class timetables. A great gym with a diverse groups of people and ages. Catering for a large group of over 60s. Whatever your exercise goals, Solutions Health and Fitness will help you achieve them by offering a motivating, fun exercise environment and a wealth of expertise through qualified and friendly staff. Please note that customers need to bring a padlock to lock the lockers. Pool and wet area are closing 15min prior of closing times. From 15:45 until 16:45 on Sundays we run a female only session in the wet area, this restricts males from using the pool-the Jacuzzi-steam room and sauna. Fanstastic, clean and great value. The changing rooms are decent with plently of lockers and clean showers. There is always staff keeping things in check in there too. The spa is amazing. You can come in form the hustle and bustle of croydon town center and within minuets be chilling in the jaquzzi! Quiet weekend day, friendly staff informed me that gym will close soon and even if I felt rush a little bit, I enjoyed the workout and the atmosphere was amaizing! I give this gym a high rating because the staff are so helpful and pleasant. The ladies facilities are clean and plenty of lockers. The hair dryers are hot. The pool is quiet and relaxing. The jacuzzi is hot and not too much chemical so doesn't hurt your eyes. I love the ladies only gym. Thank you for the great feedback, Victoria. We are looking forward to seeing you back soon. Thank you for the great feedback. We are looking forward to seeing you back soon. This gym has very good instructors in pilates and yoga. I go out of my way to get to these particular classes as they are so good!